happy anniversary! 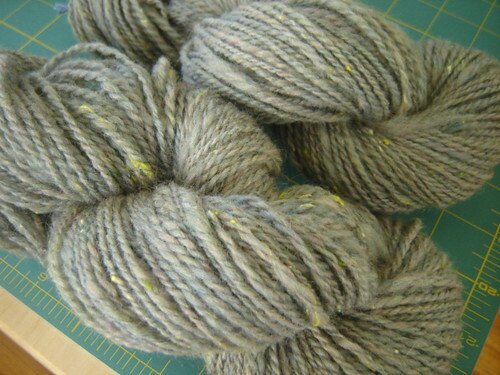 and the hand spun looks lovely. I hate the time changes, too. Ben Franklin–damn his eyes. He may have had 10 kids, but he didn’t actually raise them. Congratulations! I hope you two have a lovely celebration! Happy anniversary! Indeed, you are both very, very lucky to have each other and your boys. Congratulations on so many happy years together. I love the colors in your newest skeins–do you have plans for them yet? Happy Anniversary!! Ours was last week (on the 23rd) and it’s always a weird feeling… A day that’s just about falling in love! Happy anniversary! It’s wonderful to mark the passage of time with someone you love. And your handspun yarn is just lovely, lovely, lovely: ah, the colors! Happy anniversary! (late)I hope you had a wonderful day together. I love your handspun yarn…just gorgeous.